The addition of the Stanley R. Crooks Tribal Leader Conference Center and multistory connection, between the historic main house and Revolutionary era carriage house structures, will transform NIGA's headquarters from primarily office space to a prime conference-meeting center for legislative activities on Capitol Hill. 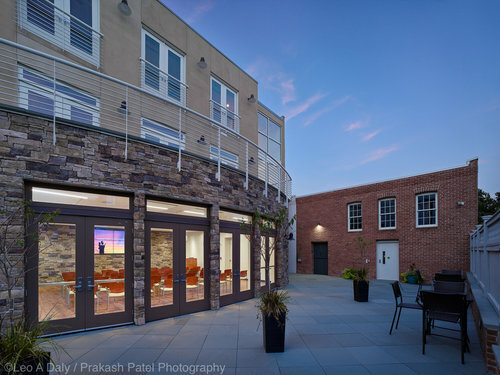 The second floor Board Room has a spacious balcony that overlooks the Conference Room courtyard, which is perfect for your outdoor events. Generous funding of this project has been provided by the Shakopee Mdewakanton Sioux Tribe whose $100,000 matching grant pledge started the initial fundraising drive. 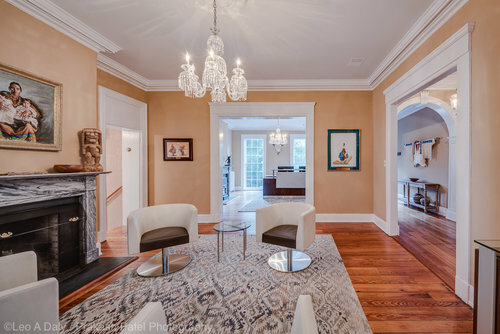 The Watterston House, constructed between 1802 and 1819, is a great specimen of the grand early-Nineteenth century Capitol Hill Federal townhouse as previous and current owners have worked to maintain its architectural integrity. The House has been well taken care of due to its historic significance of its origins as the home of George Watterston. Mr. Watterston was a prominent individual in early-Nineteenth Century Washington. He served as the third Librarian of Congress, founded numerous civic organizations such as the Washington Monument Society, and left his mark on the early political and literary life of the Capital. While the earliest history of the House is uncertain, it is thought to have been constructed by George Watterston, who lived in it from approximately 1819 until his death in 1854. The land upon which the House stands was part of a very large tract owned by Daniel Carroll of Duddington in 1796, but no deed in the District of Columbia’s land records describes Carroll’s sale of the property. However, in 1819, the city’s assessment records list the property as being owned by George Watterston. The House is not listed in the 1801-02 Washington building census, but is included in the next available survey of Washington’s buildings, the 1822 City Directory, as Watterston’s residence. Since this is the only property Watterston owned in 1819, one can assume that the house was constructed between 1802 and 1819. Capitol Hill, where the Watterston House is located, was selected as the site of the Capitol building in 1791. Construction of the Capitol went slowly and commercial development of the surrounding area also lagged. At the time of the construction of the Watterston House most of Capitol Hill was vacant farmland and residential construction was generally limited to simple workers’ housing. Daniel Carroll had already constructed the Hill’s first mansion, Duddington, and a few large homes had been built along the river by merchants developing new trade routes with the East Indies. Watterston’s house was, therefore, one of the early mansions on the Hill. 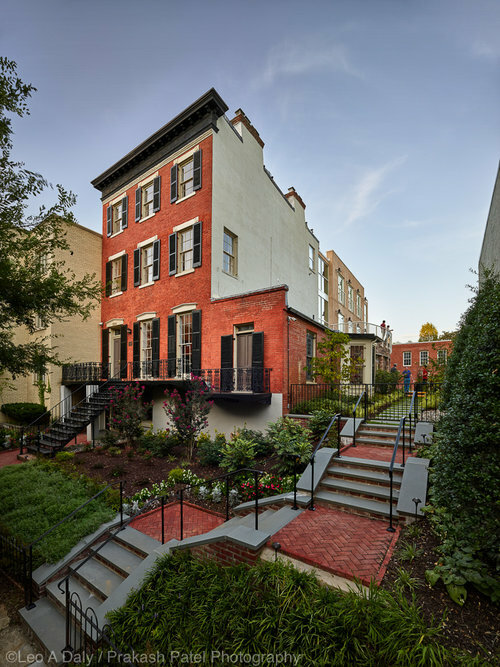 Mr. Watterston died in 1859, and although the house at 224 Second Street SE remained in the family’s ownership, there are no records that any family lived at the residence until 1870. In that year, George’s son David began residing in the House. David Watterson, who changed the spelling of the family name, was a civil engineer and a member of Washington’s Common Council in 1856, but never achieved the same social stature as his father.. The younger Watterson lived in the house until his death in 1903. In 1904, the middle-class Kennelly family acquired the House. Mr. Kennelly was an auctioneer and partner in the firm of Magrath and Kennelly. The large two-story stable erected by Mr. Kennelly was, no doubt, built to accommodate his horses. From 1900 until 1967 the Watterston house had only two owners, Patrick Kennelly (1905-1944) and F.C. Curtis (from 1944-1967); nothing could be uncovered about Mr. Curtis. The house changed hands twice between 1967-1979 and, in 1979, was sold at auction to the Watterson House Associates. The Cato Institute, a public policy research organization founded in 1977, purchased the House sometime after 1979 and then sold the property to the current owners, the National Indian Gaming Association (NIGA) in 1994.